Aguas frescas are one of the best Mexican culinary creations ever! We make fresh water from literally any fruit we can think of, but there are some classics, like this one, lime with chia, such a nice combination, it is so simple to make that I kind of feel a bit silly posting the recipe, but sometimes the simplest things are the most that count as it just happens to be one of my children favourite, so here it is, give it a try and have a taste. Dissolve the caster sugar in the hot water and add it to the jar. Then squeeze the limes and add the juice to the sugar mix. Add the water and lime slices and stir. Add the ice. Check if the sugar is right, if you like it sweeter, add more sugar. Serve in a glass with ice and a lime slice. Enjoy! La primera vez que probé la chia fue en un agua de chia con limón en Chiapas hace muchos años. Recuerdo regresando a los Estados Unidos y no podía encontrar la chia en ningún lado. Todavía no era una comida conocida. Pero poquitos años después, empezó a salir en los supermercados. Aunque la he probado en varias otras comidas, todavía pienso que es la más rica mezclada con un agua de limón. Hey there so my agua fresca came out bitter. Is it bc I used the tiny limes? Also my chia didn’t get mucilaginous like it normally does. Thoughts? Hi, apologies for the late reply. 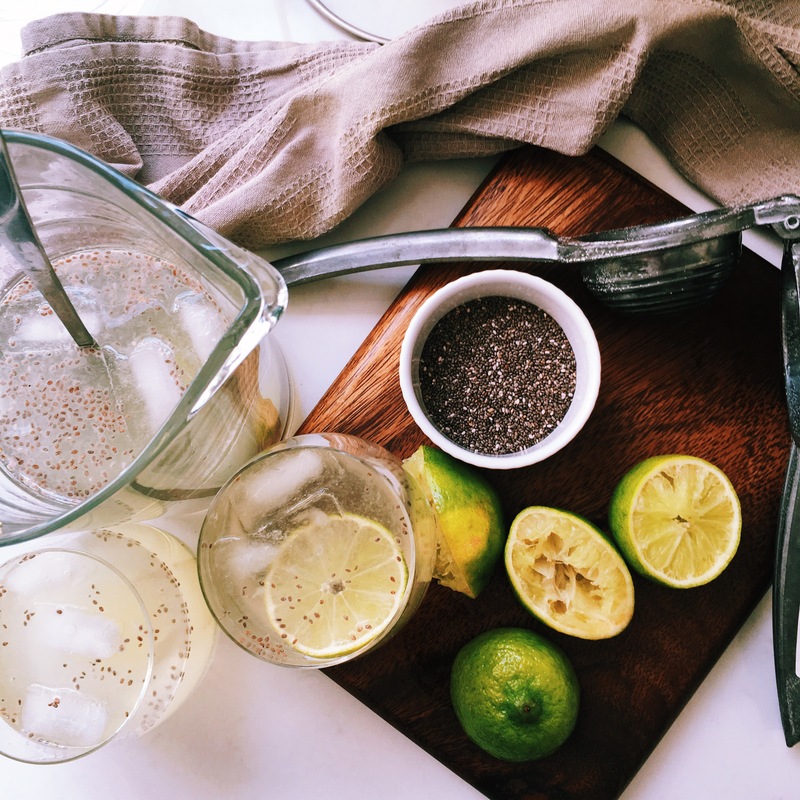 Yes, probably that is why your agua fresca was bitter, I usually use big, juicy limes and when I add the chia, I leave the agua fresca to rest for at least an hour.